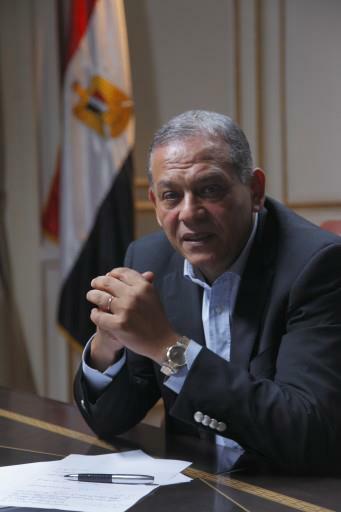 Anwar El-Sadat (Head of the Reform and Development Party) condemned the remarks made by Eng. Abul-Ela Mady (Head of the Wasat Party) in which he stated that the President told him that the General Intelligence Service organized a secret body of more than 300 thousand thugs so they can use them. This is an explicit insult to a national service that is honored to have dedicated men for which the whole history witnessed to be responsible and ready to sacrifice their lives and properties for their country. El-Sadat noted that this information that was made by Mady is bare from any truth and it jeopardizes the reputation of a great body whose integrity and patriotism is unquestionable and above any doubt. But if this speech is indeed true and the President is aware of this serious information then he must be held accountable for his silence and the blood that was spilled. He can request the files of these organized bodies from the General Intelligence and announce them to the masses if he wants to prove the validity of this claim. El-Sadat called the President to choose his company and boards well, and to stay away from political opportunists, those who have political ambitions and whose actions and words will only aggravate the rift in the society and dismantle the remaining state institutions at a time when we are in a dire need for them to maintain the safety and security of this nation.